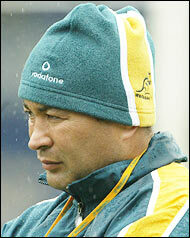 The Queensland Reds have struck a mini-coup by scooping up Eddie Jones as their new coach. 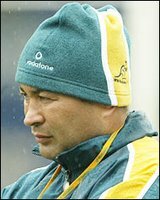 Steady Eddie turned down several European jobs, with a French club seemingly the strongest offer in order to stay in Australia. Jones is said to want to coach the national team again in the future and obviously feels it would be better to stay local. Will it be a match made in heaven? The Reds have been the Australian basket case of the S12 in recent years. A far cry from their 2 successful reigns in S10 back in the day. Can Eddie lift them from their doldrums? Time will tell but this correspondent, at least, is chuffed to bits that we won't be losing Eddie Moans' humour and wit. well i for one will not write the reds off purely because of this man. Eddie turned the Brumbies into a dangerous something. He can do it with the Reds. People who keep writing off the Aussies as a world rugby power are making a massive mistake.